Our "Monthly Oil & Gas Industry Contracts Review - Petrofac, Saipem, and Samsung Engineering Consortium Leads Downstream Award Activity", report is an essential source of data on the awarded contracts in the oil and gas industry, The report portrays detailed comparative data on the number of contracts and their value in the month, subdivided by region, sector and geographies in October 2018, Additionally, the report provides information on the top contractors and issuers based on the worth of contracts executed in the oil and gas industry during the month by geographies and over the year. Data presented in this report is derived from GlobalData’s IPAR database and primary and secondary research. 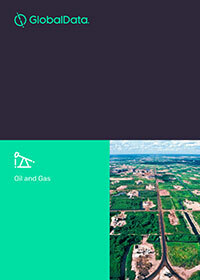 Summary of top issuers in the oil and gas industry over the past 12 months subdivided by the sector, this include key issuers such as Tellurian, LNG Canada, Saudi Aramco, Equinor, and Abu Dhabi National Oil Company. Look for key contractors/issuers if you are looking to award a contract or interested in open tender activity within the oil and gas industry.